Bernard Zaslav, who was born in 1926, died yesterday afternoon at the age of 90. He holds a very special and a very permanent place in my heart. 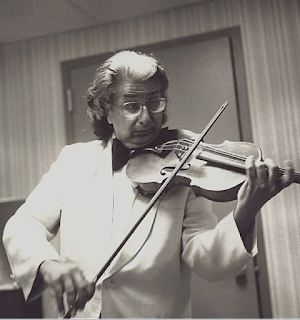 I got to know Bernie extremely well, first through his recordings, then through the internet viola list, and later while working with him on his memoir, The Viola in My Life: An Alto Rhapsody. I have written a lot on this blog about Bernie. 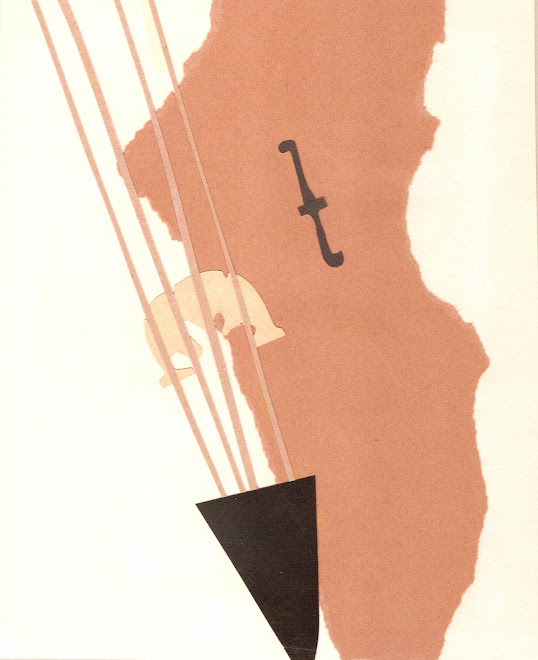 He was a remarkable man who, through his playing, his wit, and his kindness, brightened American musical life for much of the 20th century from sea to shining sea (peppered with many concert tours abroad). You can find the posts I have written about him here, and you can get a copy of his memoir from Amazon, where he tells true tales about the marvelous musical world of the 20th century from the standpoint of one of its brilliant inner voices. 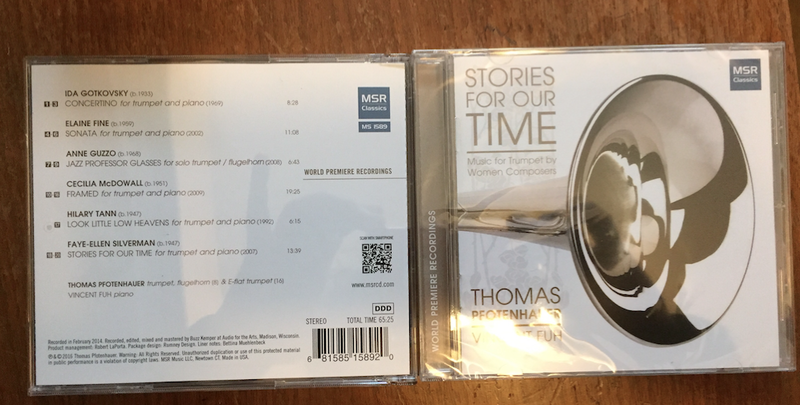 The book comes with two CDs that give a musical overview of a remarkable career. When I was a student at Juilliard I was often wracked with physical tension due mostly to constant practicing and always carrying a heavy shoulder bag filled with music and instruments. This was before people carried ergonomic backpacks. This was before the idea of ergonomic anything. Walking around the city in shoes that did not offer adequate support didn't help either. 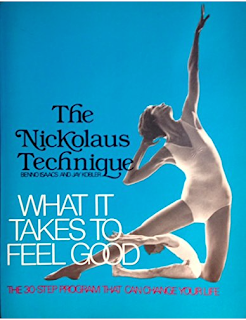 One day in the winter 1979 a friend brought me to an exercise class that involved a brand new way of exercising developed by a dancer named Richard Nickolaus. 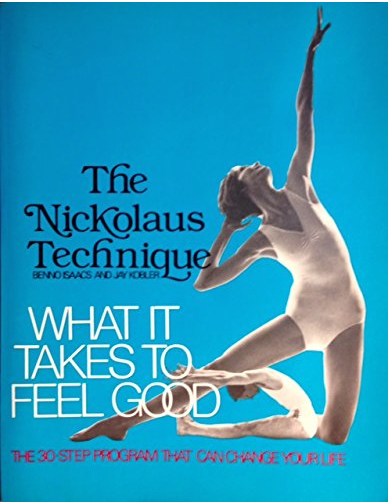 The series of exercises, known as The Nickolaus Technique, was based on principles of Yoga and isometrics, and gave attention to all the moving parts of the body (including the feet). It involved controlled breathing, stretching, and strengthening, and it made an amazing difference in my life. There were studios all over the city, and if you were a member of one studio, you could take as many classes as you liked at any studio. 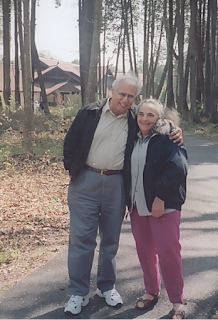 I took classes for around a year, and then I bought the book by Benno Isaacs and Jay Kobler so that I could keep doing the series of 30 exercises on my own when I went on my post-Juilliard travels. I somehow managed to misplace the book, but I still did the exercises. Well, some of them. Last week, while I was out of town, I was showing a Yoga-minded friend some exercises from the Nickolaus Technique, and used my phone to search for it online. I couldn't remember the spelling of "Nickolaus," and was therefore unsuccessful. I tried again when I got home, and found a used copy of the book at Amazon for one cent. It arrived in the mail the other day, and I have been doing the series of 30 exercises after practicing. What a great series of stretching and strengthening exercises it is! And it is particularly good for musicians of "a certain age" who are not as flexible as they once were. And here's the Amazon link. I'm going to order a few more copies to give to my friends. A mystery package from Minnesota showed up in my postal mailbox. Michael opened it up and said, "You're on this CD!" 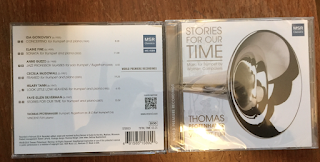 We immediately put it in the CD player, and I am pleased to report that the playing is just great. I found a link to it here, and ordered some more copies. I knew something about this recording, but I had no idea what the timeframe for it was! 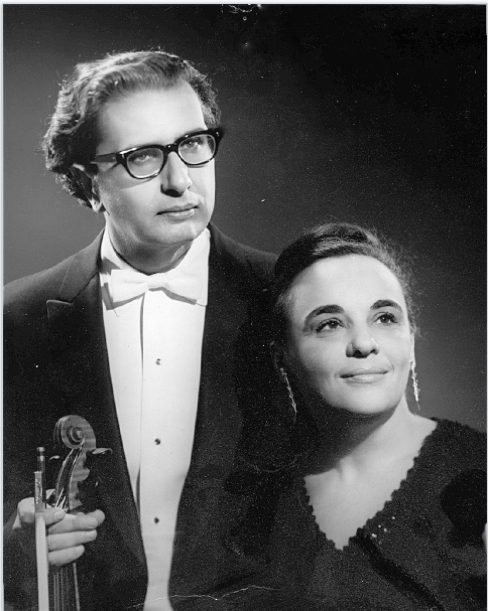 Maybe the New York Times could make "A History of Classical Music (The Women-Only Version) a column with weekly installments (with audio clips). Alice Gregory has started something good here.